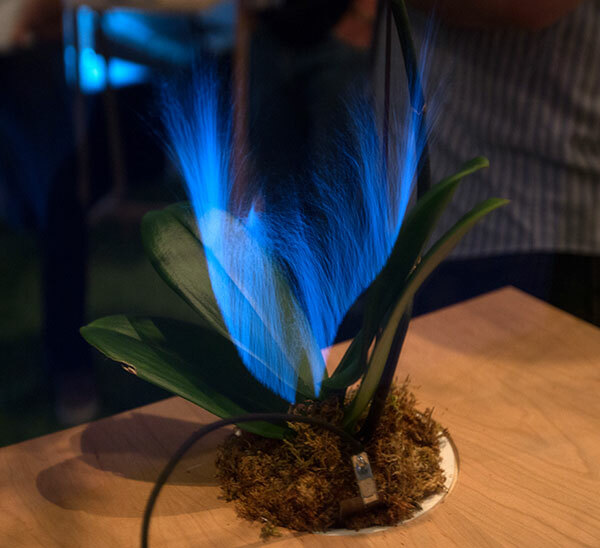 As they explain - “This instrumentation of living plants is simple, non-invasive, and does not damage the plants: it requires only a single wire placed anywhere in the plant soil. 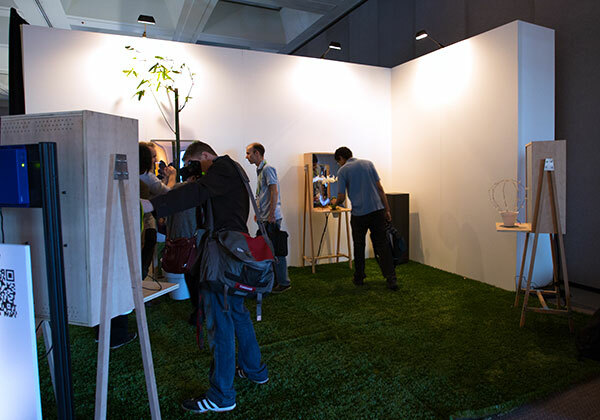 Botanicus Interacticus allows for rich and expressive interaction with plants. 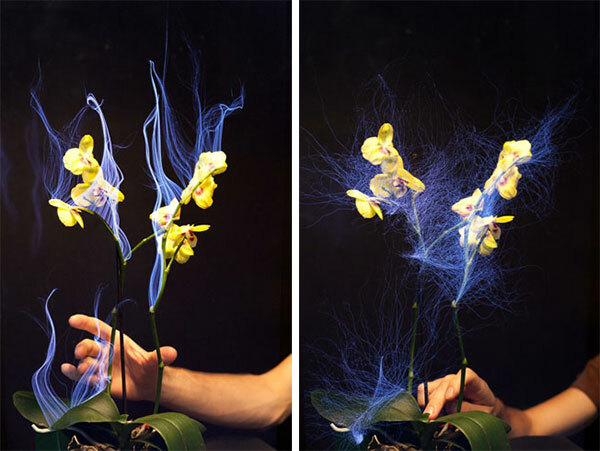 It allows to use such gestures as sliding fingers on the stem of the orchid, detecting touch and grasp location, tracking proximity between human and a plant, and estimating the amount of touch contact, among others. 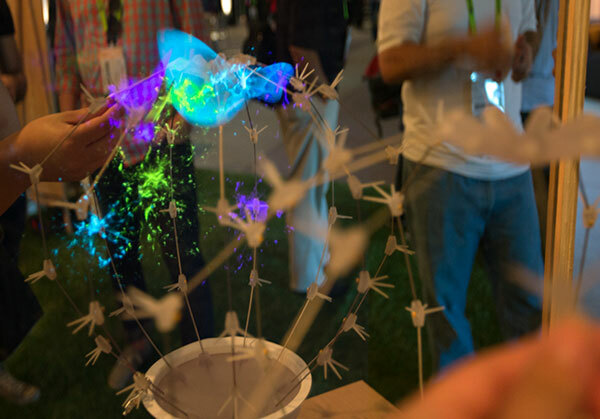 Now heading into their Siggraph booth! 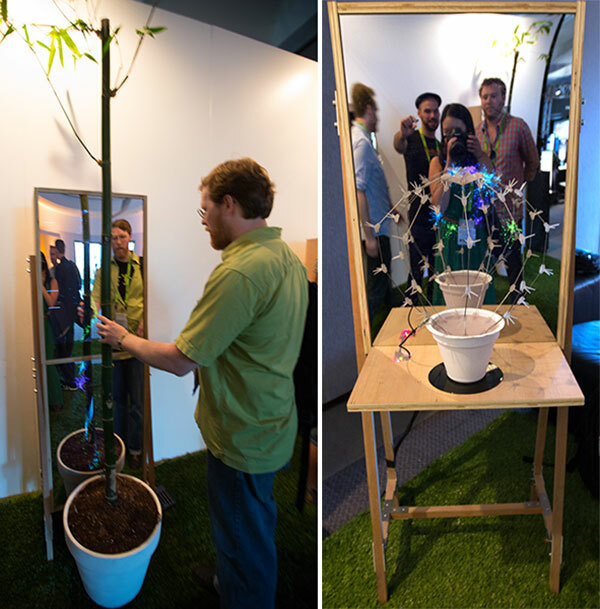 Each of the 4 examples showcases a plant in front of a half-way mirror (think half reflection, half see through) - which looks like beautiful cgi visualizations overlaying the plant reflection. 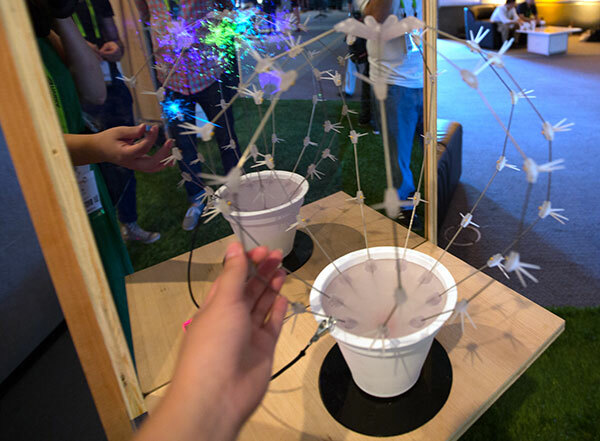 Here’s an example of their artificial plant made of titanium rods and capacitive sensors. 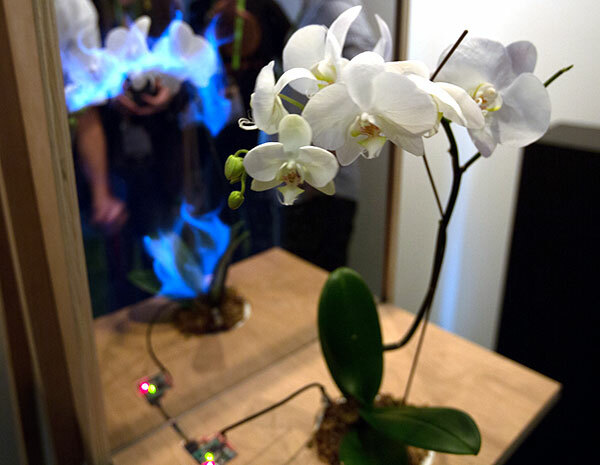 Back to the orchid! 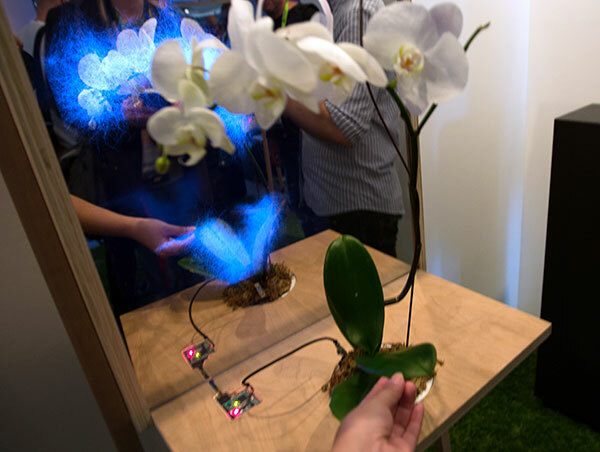 Definitely the prettiest ~ and it had that fun accidental tactile feedback… only bummer, the flower petals, unfortunately, were not capacitive. 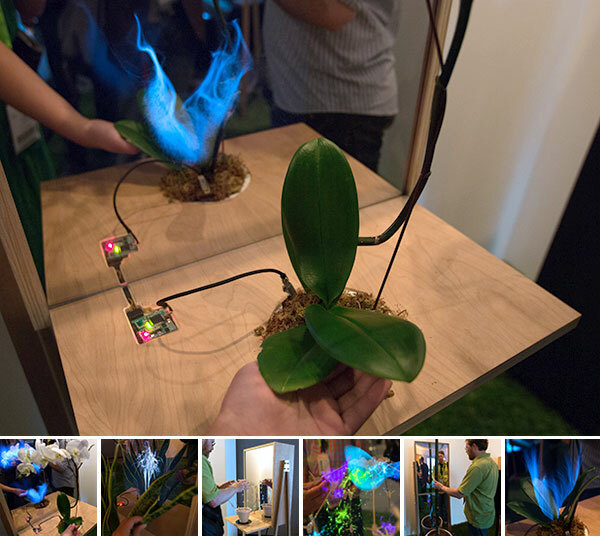 Nice display of the sensors set into the wood base… and you can see how it connects with the plant. 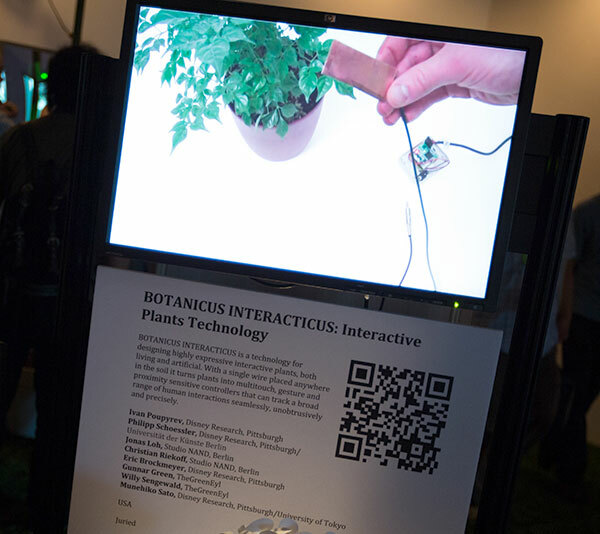 The organic appeal and attention to display design of the Botanicus Interacticus booth definitely made it the standout amongst the Emerging Technologies sector of Siggraph this year! 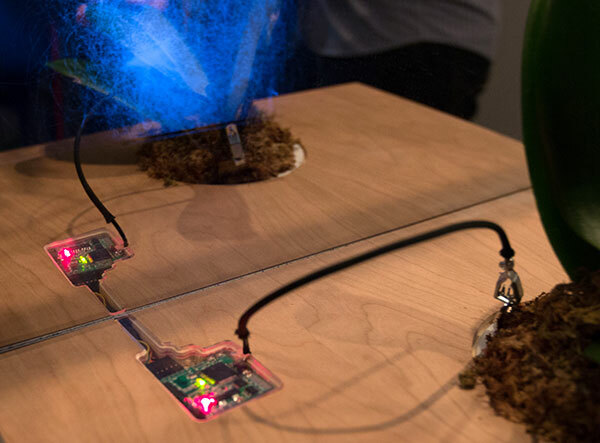 I have written my master thesis about Human Plant Interfaces in the domain of Interactive Art. 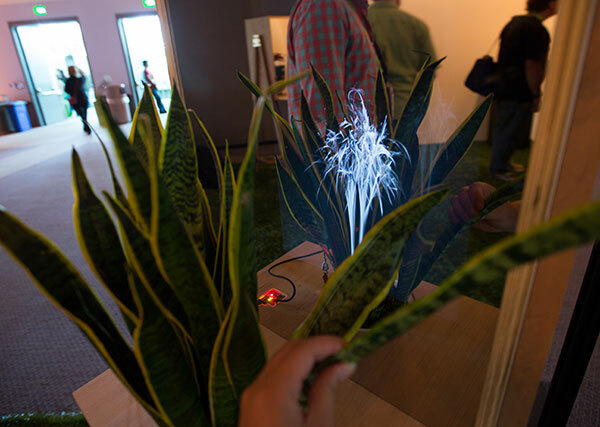 I also think that direct interactions with plants can enhance ubiquitous computing applications a lot. 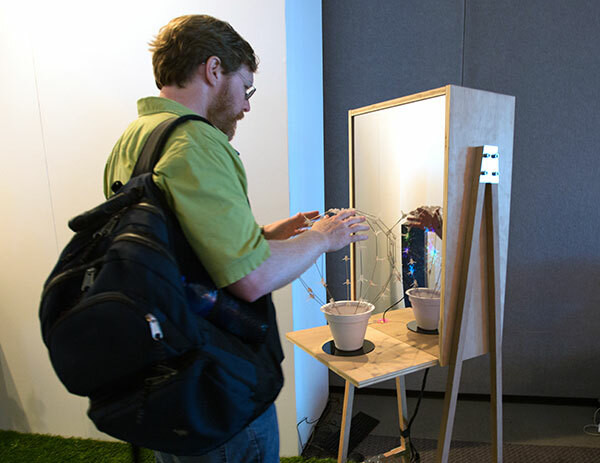 Here is a summary of some other projects that implement direct interactions with plants. Where can I buy one of this? Is it on sale?